Following the success of the recent 1940’s Festival in Colwyn Bay, The Bay of Colwyn Town Council is now seeking applications from other organisations requiring funding to provide an event, festival or cultural activity which has the potential to attract visitors to the Bay of Colwyn area (Colwyn Bay, Old Colwyn and Rhos on Sea). The proposed event(s) must take place in the Bay of Colwyn Area between July 2015 and June 2016, be open to the general public and have the potential to attract significant visitor numbers. Applicants must be able to demonstrate a successful track record in delivering events, or be willing and able to work with another organisation which can do so. A total funding ‘pot’ of £20,000 has been set aside by the Town Council, which it is hoped will fund a number of events. The maximum funding available for any individual event is £5,000 and applicants for larger events are encouraged to seek additional funding from other sources. The closing date for applications is 12 noon on Tuesday 26th May 2015. All applications will be acknowledged and applicants may be contacted to present their proposals in person to a Committee of the Council at a later date. The Bay of Colwyn Town Council is delighted to announce the winners of the Bay of Colwyn Volunteer of the Year Awards for 2015. 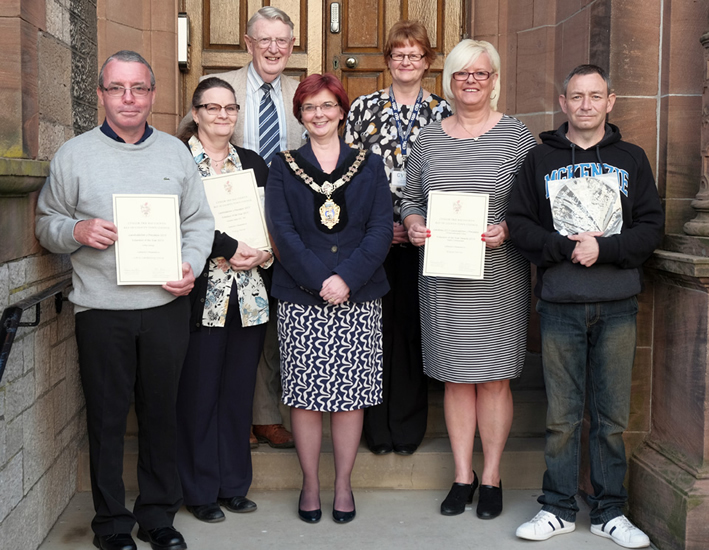 The nominations were considered by the Volunteer Awards Committee and award recipients were invited to the Town Hall last Monday evening, with the winners of each category being presented with a slate plaque and certificate by the Town Mayor, Cllr Mrs Val Smith. Highly Commended certificates were also presented to Adult Volunteers Elaine Davis and Ian Trethouen. 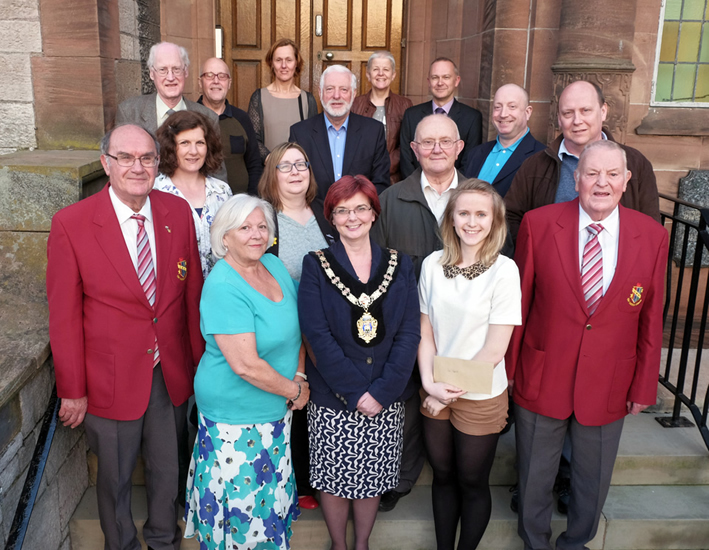 Although there were no nominations this year for the Adult 65+, Young Person, Trustee or Green categories, the Town Council is aware that there are many local people regularly carrying out invaluable voluntary work in our local community. Please contact the Town Clerk for information about submitting nominations for next year’s awards. Notice of the election for the UK Parliamentary election being held in May.